November was World Hip Hop History Month 2014. 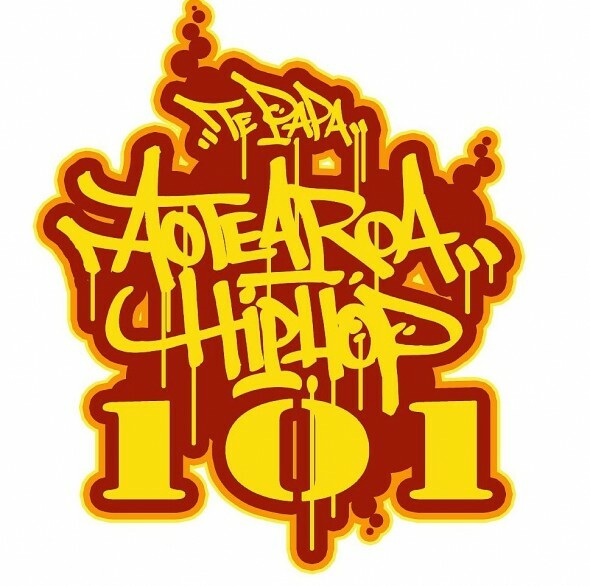 It was celebrated at Te Papa by Family Fun: Aotearoa Hip Hop 101 with special guest hip hop pioneers KOS 163, Rhys B and other members of the local hip hop community. The event celebrated 20 years of Wellington hip hop collective Footsouljahs and 30 years since the release of the hip hop movie Beat Street. DJ Rhys B gave a public presentation where he talked about his extensive collection of hip hop memorabilia. 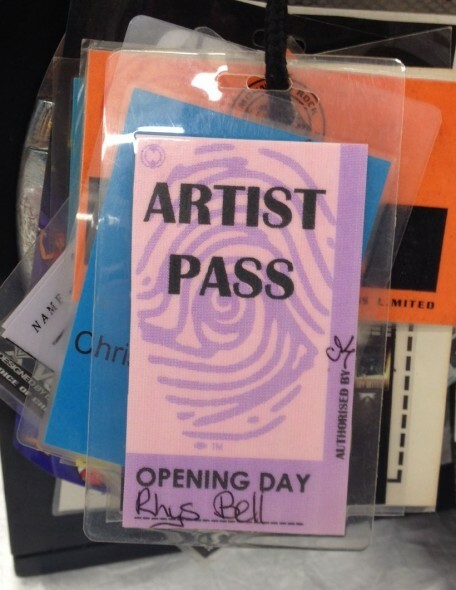 He pointed out that when Te Papa had its opening weekend in 1997, he was a guest artist and still had his backstage pass to prove it. 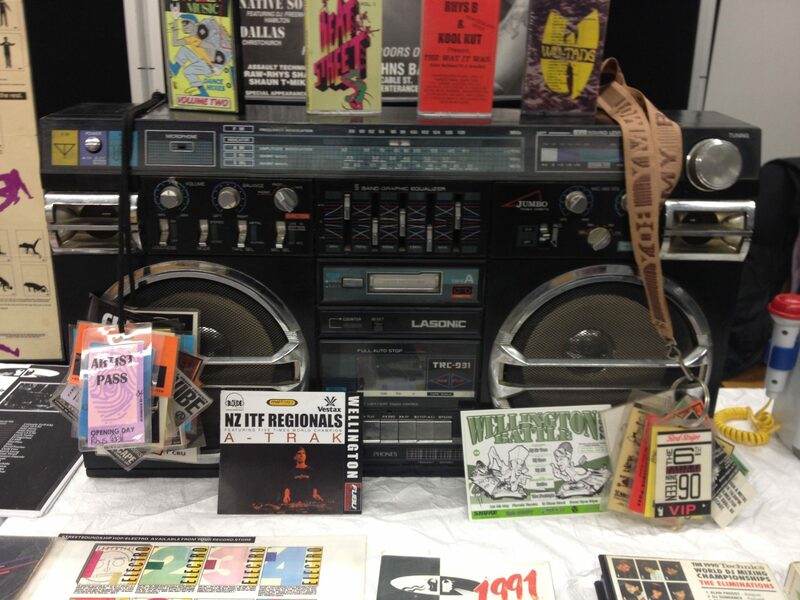 Hip hop has been part of Te Papa since Day 1. Over the years, Te Papa staff have worked with the community to create events and develop a collection representing the vibrancy and history of hip hop culture in Aotearoa. As a curator my engagement with hip hop began in 2000, when I sat with DLT (Darryl Thompson) one of the founding members of Upper Hutt Posse, and wrote down his Hip Hop whakapapa (genealogy) 1976-2000 with assistance from MC Antsman. 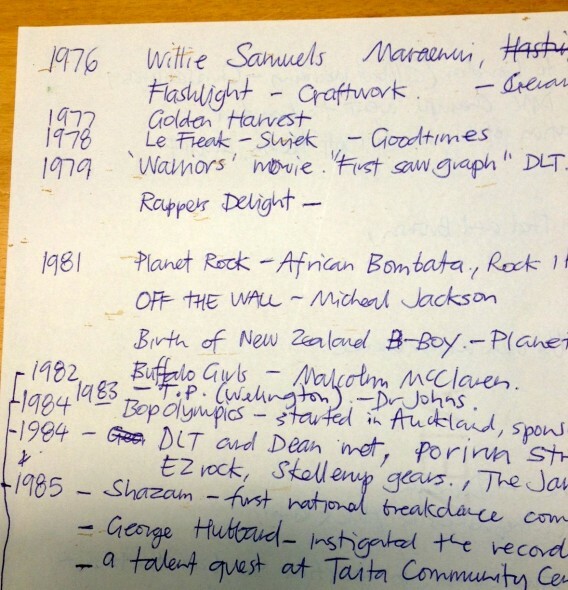 Southside Story compilation released by Dawnraid Entertainment and acquired by Te Papa. Savage Thoughts album by King Kapisi is acquired by Te Papa. Te Papa acquires a turntable owned by 9-time New Zealand champion Hip Hop DJ – DJ Raw (aka Ian Seumanu). The turntable was part of Raw’s set up until 1996. 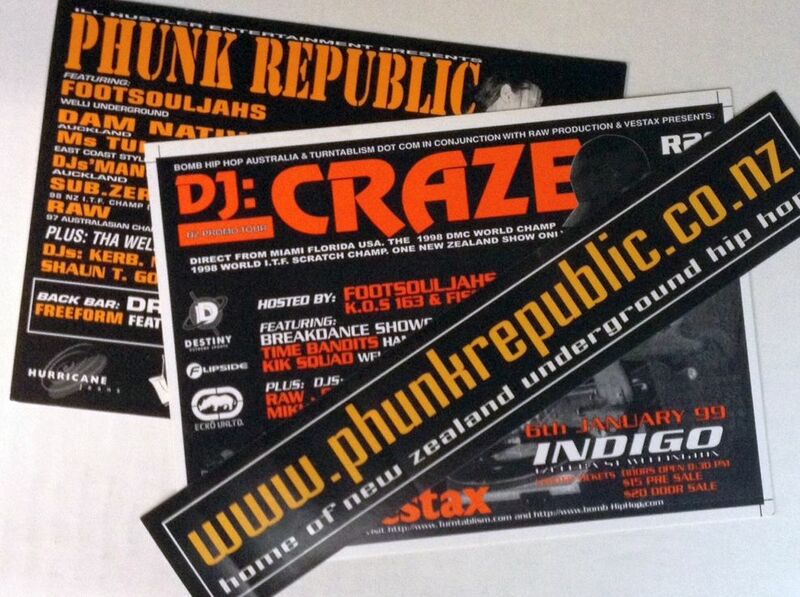 He put it to work in many gigs with hip hop crews including ‘Gifted and Brown’ and ‘Debonair’. 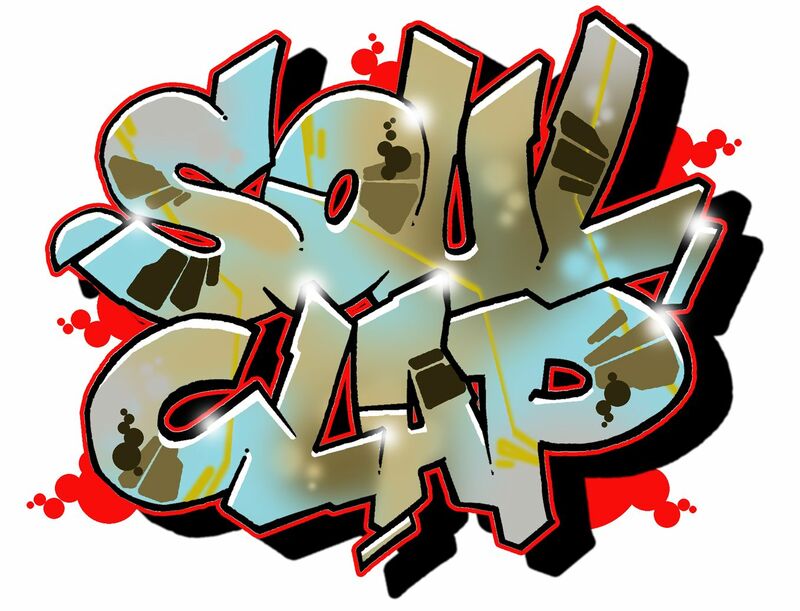 In 2000, DJ Raw toured and performed with ‘King Kapisi’ and the Wellington hip hop crew ‘Footsouljahs’. 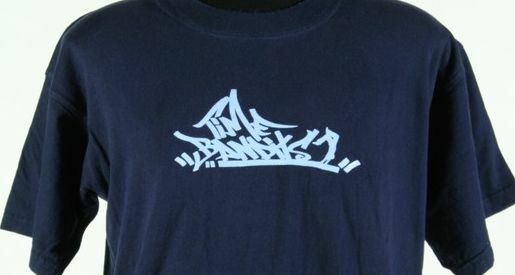 T-shirts by breakdancing crew Time Bandits and Dawnraid Entertainment acquired from the artists. Culture Moves! From Hiva to hip hop – a symposium held at Te Papa featured SugaPop of the Electric Bugaloos and Rock Steady Crew, Future, Stepkingz Crew and Common Ground. They joined dancers, artists, academics, choreographers from New Zealand, Hawai`i, Guam, Australia, Fiji, New Caledonia, and the United States at the symposium and in performance over three days. Kos Fa’alogo donates a small collection of Hip Hop ephemera: posters, magazines, stickers, flyers related to the activities of Wellington based Footsouljahs. In the Hip Hop Hut at Te Papa, King Kapisi, Tha Feelstyle and MC Flowz performing at the Tangata o le Moana exhibition opening festival. 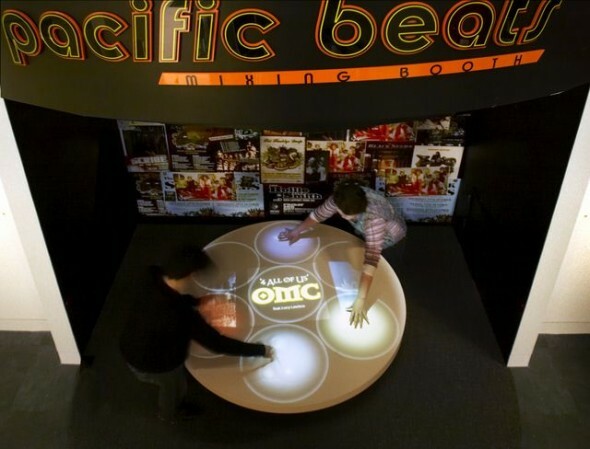 The exhibition Tangata o le Moana; the story of Pacific people in New Zealand features a Pacific Beats mixing table featuring Pacific artists across a range of musical genres including hip hop. Dean Hapeta a founding member of Upper Hutt Posse makes a rapumentary titled Ngatahi – Know the Links. It is screened at Te Papa in association with the Human Rights Commission. This hip-hop infused six-part music documentary explored marginalised peoples’ arts and activism around the world. 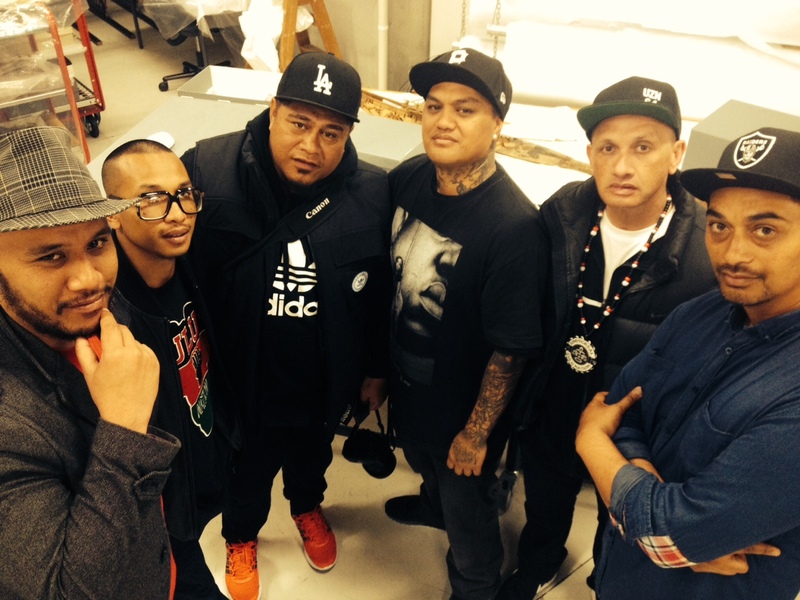 Rangatahi Day at Te Papa features Dam Native, MC Kommikal and Upper Hutt Posse. 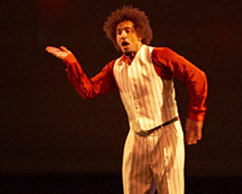 Suga Pop – a street-dance practitioner and choreographer based in the United States gives a presentation at Te Papa. The Palace Dance Studio in Auckland gifts a gold medal won by lead choreographer and dancer Parris Goebel. 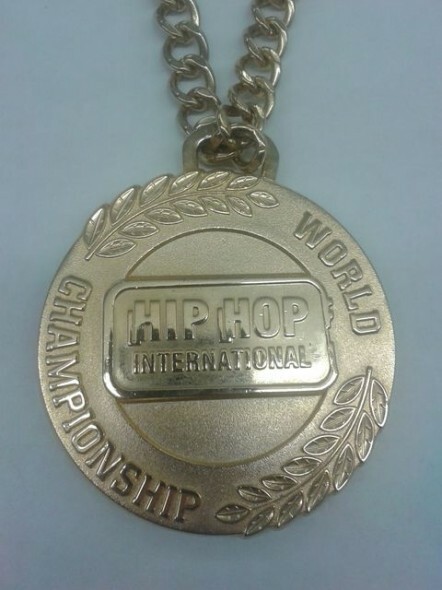 It was awarded to her and the Royal Family mega crew that competed at the Hip Hop International (HHI) World Championships in 2013. Soul Clap Matariki B Boy B Girl Battle – the first-ever Matariki breakdance battle. 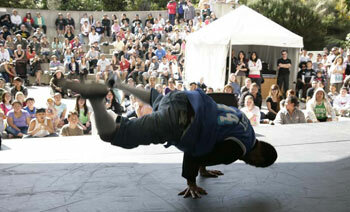 It was presented with the Wellington chapter of international hip hop organisation The Universal Zulu Nation. Aotearoa Hip Hop 101 in collaboration with the Wellington Hip Hop community marks the beginning of World Hip Hop History Month at Te Papa. NOTE: Culture Moves image : Culture Moves! 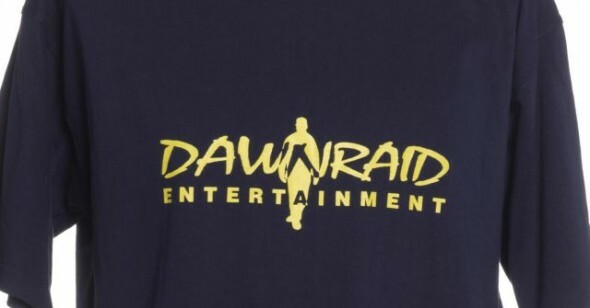 logo design by Dean Otsuki. Contemporary dance image in logo by J. McCauley 2004, dancer: Travis Khan, The New Zealand School of Dance; Hip hop image by DEAP Â©2004, dancer: B-boy 01; Hula image by Michael Harada Â©2004, dancer: Kaohi Yojo, Mid-Pacific Institute of the Arts. This EP took me Quiet a While to work on because i really wanted to Create and find my own Style. But most importantly i wanted to give a message and have the youth thinking positively and making positive decisions. I Mixed most of the the vocals my self. MY name is serge . AKA Y$G i’m 22 I’ve been in NZ for 10 Years Im originally from Congo .but i grew up in gabon. i can speak french fluently. growing up music was always around me. especially Gospel. 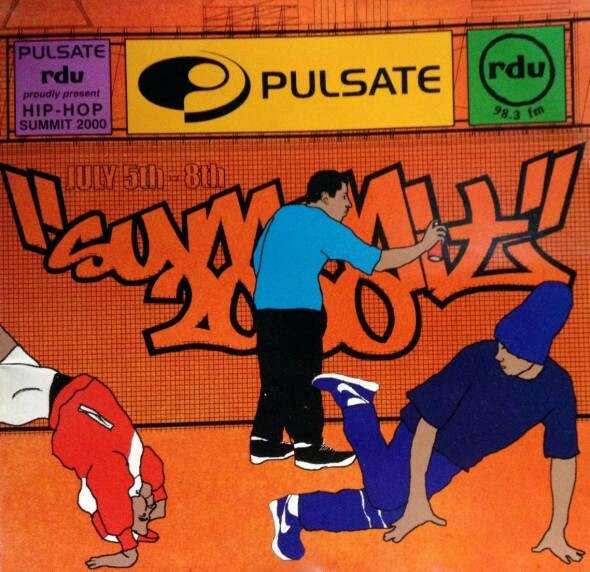 then hiphop came only when i was about 9 years old . my first time rhyming was a little later when i was 14. thats when i knew that music could be something Spacial for me. I was part of a Group named D.O.B(Jerk Freaks) and in 2012 we took our own paths. and i was about to because a Father. in 2014 i decided to reconnect with Music and give it a good shot this time. It took me almost a year to build my confidence again. and thats why i was able to release this Project. Thank you Serge for reading and commenting on the blog and sharing these links to your music. We wish you all the best with your EP.